Only very minor storage signs. Blue resin, Solid Sterling Silver (0.925) section mid band with Microscultura 925 imprint, Solid Sterling Silver (0.925) section tip, Solid Sterling Silver (0.925) clips band and clips. 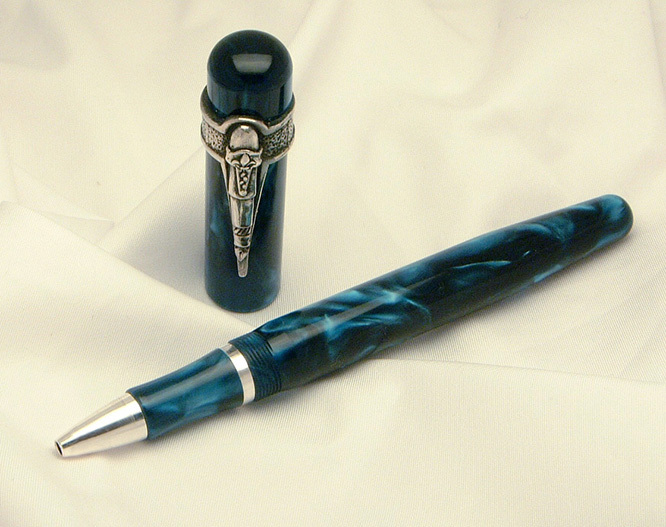 The pen measures 143 mm in length (capped), the cap is 15.5 mm in diameter and the barrel is 14 mm in diameter. 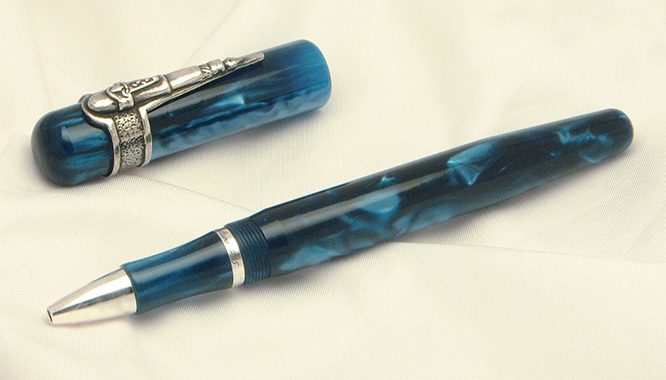 Posted the pen measures 166 mm in length.